but there are not many London venues that last for sixty years. It is hard to know whether Ronnie Scott is more famous for being a musician or the founder of the legendary Ronnie Scott’s Jazz Club. The club celebrates sixty years in October and it is amazing to see this bedrock of the London live music scene go from strength to strength! I will come to the club and its survival but, on 28th January, 1927, Ronnie Scott was born. Born to a Jewish family in Aldgate, Scott began playing on small Jazz clubs at the age of sixteen. His passion was sparked early on and he began touring with trumpeter Johnny Claes (1944 to 1945) and Ted Heath (in 1946). Although his early life saw minor recognition and success, Scott was part of the band of musicians who worked on the Cunard liner, Queen Mary. He worked there so he could visit New York and the sounds coming from Jazz clubs there. Although British-born, it was the American Jazz masters like Charlie Parker who had a bigger influence on him. There was another step in his career when he joined Jack Parnell’s orchestra and was there in 1952. Soon enough Scott led his own groups (a nine-piece and quintet). Scott co-led The Jazz Couriers with Tubby Hayes between 1957 and 1959 and, before long, he moved to open his own club. Scott was an occasional and talented session musician and is renowned for his solo on The Beatles’ Lady Madonna. Although Ronnie Scott was passionate about music, his experience in New York had made an impact. Jazz was not a huge commodity in Britain in the 1950s and a lot of the best players were working in the U.S. That said, there were some upcoming artists but very few specialised Jazz clubs for them to play in. Alongside Pete King (a tenor sax player), Scott opened Ronnie Scott’s Jazz Club on 30th October, 1959 in Soho. The opening and early moments were a success but it was not long before the club moved from Gerrard Street to Frith Street – it was in its new location by 1965. Using his experience in music and his stage command, Scott preceded over events at the club and was their compere. A lot of the Jazz clubs in America (during the 1950s) has comedians and entertainers who would introduce the musicians and get the crowds warmed up. Scott, as this genial and humour figure, would get crowds ready with his asides and jokes – he had his regular routines and staple lines. Although the club moved from a small basement to a more buzzing location; it retained its core of excellent Jazz in a warm and relaxed environment. In many ways, Ronnie Scott’s Jazz Club was a revelation. The club had a British feeling but was distinctly motivated by the successful and popular Jazz joints of New York. Scott ran the club until his death in 1996 and Pete King took it over until 2005 when it was sold to Sally Greene – the theatre impresario keeps it alive and has not changed the club’s spirit and ethos. Not a great deal has changed since the early days. Maybe it is less bursting and bustling than it was in its earliest days. Back in the 1960s it was a real hotspot that saw the likes of Miles Davis and Sarah Vaughn delight and inspire. A lot of the biggest musicians of the time preferred the environment of Ronnie Scott’s as it was more intimate and familial than the concert halls – which were often quite large, cold and impersonal. It is the familiarity and comfort of the club that continues to draw in the biggest names of the music industry. 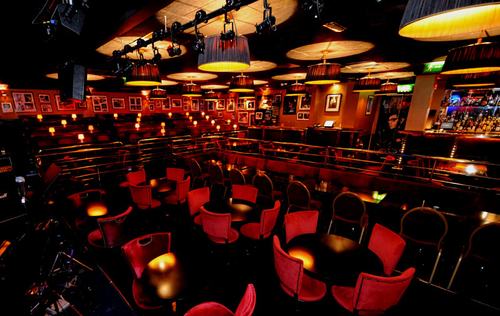 Ronnie Scott’s, now and then, is the place that offers upcoming artists a chance to hone their skills and play to a very dedicated and receptive audience. It has, in the past year played host to big artists like Norah Jones but a lot of underground acts have been fortunate enough to play there. The club has developed through the years and is not purely about Jazz and concerts. With its space downstairs and its thriving bar upstairs, Ronnie Scott’s is one of the most sought-after hang-outs for the hipsters and music lovers of all ages. It is not reserved to Jazz experts and, with its D.J. sets, there is Latin, Jive and Blues music played. Ruby Turner is playing a few days next week but, if you look at the calendar then you can keep abreast of all the happenings and shows at Ronnie Scott’s Jazz Club. Ronnie Scott would be proud of the club’s success and the fact it remains secure, safe and popular. There is a great menu and selection of drinks to be found and the Upstairs @ Ronnie’s is a one--hundred-and-forty capacity bar that offers live sounds every night or the week. There is poetry slams and sets; jams, art and everything you could possibly want! The cocktails are legendary and the service is excellent. It is a perfect spot to visit whether you love Jazz or not. The convivial and relaxing setting is great for new musicians who might feel intimidated playing at such a legendary venue. 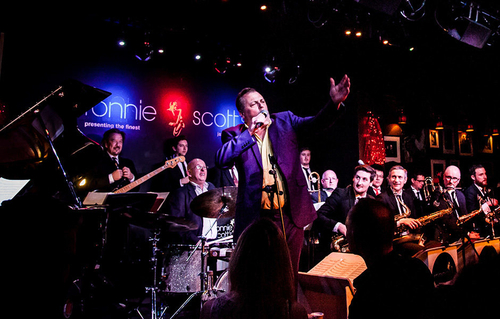 London has some great Jazz clubs – including Vortex in North London and Nightjar in the centre – but there is nothing that rivals Ronnie Scott’s. Boisdale has Scottish food and might seem an unlikely bedfellow with Jazz but it is, perhaps, the most similar to Ronnie Scott’s in terms of feel and layout. The Blues Kitchen and 606 Club are thriving and Jazz Café is worth a visit. Nola offers a suave and grand setting close to Ronnie Scott’s and, although some of these Jazz clubs have been around for a long time, most are relatively new and one feels inspired by the success and flair of Ronnie Scott’s. There is debate as to which London Jazz club is the most popular and relevant but there are none as iconic and sought-after as Ronnie Scott’s. When it celebrates its sixtieth anniversary in nine months, many new and established artists will pay tribute and ensure we have many more decades of the wonderful venue. FEATURE: The Brilliance and Enigma of Azealia Banks: Is She Blurring the Line Between Persona and Needless Controversy?